My wife, son, and I drove to Upstate New York to visit my folks recently. On the long drive back to Saint Louis we were at a big gas station/truck stop in Illinois and Clarkson needed a fresh diaper. 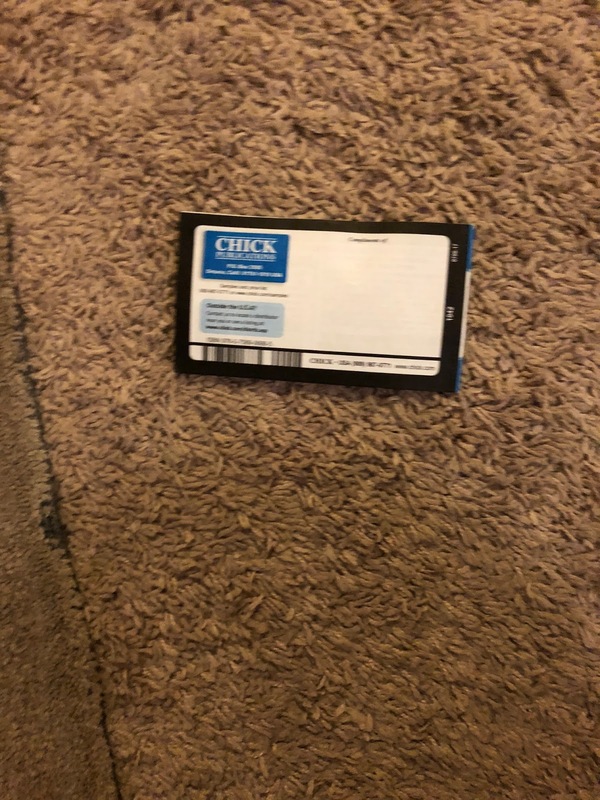 I went to open the changer and lodged within where fresh paper liners are supposed to be stored (almost no place actually stocks it) was a bona fide Chick Tract, put there by someone who I guess wanted to spread their idea of the gospel. 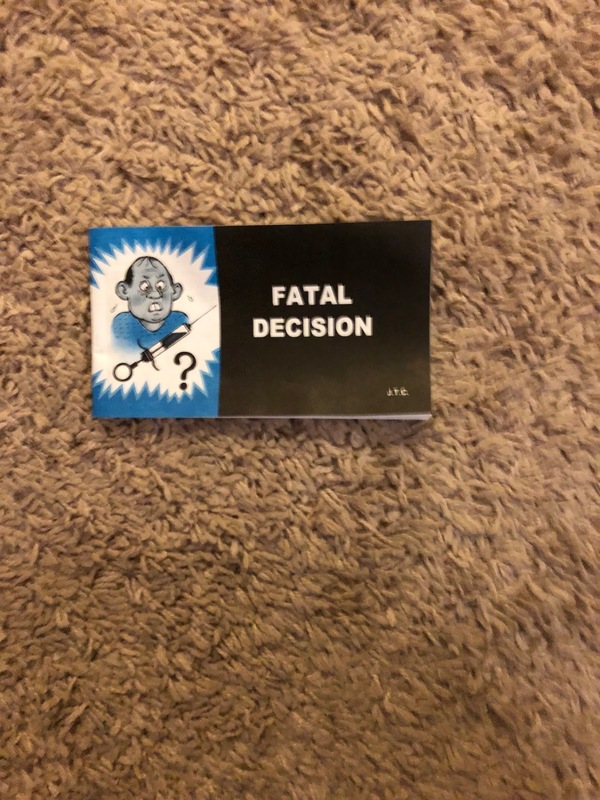 A, "Chick Tract," is the slang term for comics created by Jack T. Chick, who passed away some time ago, but while alive made very many mini-comics that espoused far-right evangelical takes on Christianity. He made comics discussing the dangers of Dungeons and Dragons, homosexuality, rock music, Catholicism, Evolution, and basically anything that he judged sinful and would keep people from getting to hang-out in Heaven with Jesus when they died. Since Chick's death the company behind the tracts (Chick Publications) has had other authors make strips, but the one I found, "Fatal Decision" is a, "Classic," by Chick himself. It features a guy named John who is bitten by an animal, refuses treatment from the doctor, and dies. The idea is we refuse, "treatment," from Jesus or something. It's a metaphor, kinda? 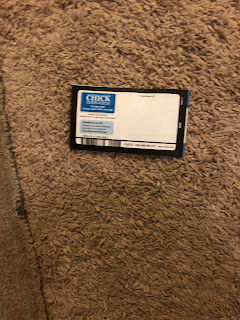 I'm just amazed that I found a Chick Tract lodged in a diaper-changer in the middle of a truck-stop in Illinois. It was the most random thing to stumble upon for sure. I guess I'll take one aspect of the comic to heart, and if I'm ever bit by a mysterious creature and the doctor has a cure for me I won't refuse it.